Thu., 30 May - Tue., 4 Jun. Wed., 7 Aug. - Mon., 12 Aug. Sat., 11 May - Sat., 29 Jun. Tue., 16 Jul. - Thu., 18 Jul. Thu., 10 Oct. - Mon., 14 Oct. Tue., 16 Jul. - Fri., 19 Jul. Mon., 15 Jul. - Sat., 20 Jul. See all 577 properties in Minneapolis - St. Paul Intl. Situated near the airport, this spa hotel is within 6 mi (10 km) of Mall of America, Minnehaha Park, and University of St. Thomas. Xcel Energy Center and U.S. Bank Stadium are also within 9 mi (15 km). Terminal 1 - Lindbergh Station is 19 minutes by foot. Situated near the airport, this hotel is within 1 mi (2 km) of Minnesota Valley National Wildlife Refuge, Mall of America, and Nickelodeon Universe. Sea Life Minnesota Aquarium and Crayola Experience are also within 1 mi (2 km). Bloomington Central Station and American Boulevard Station are within a 5-minute walk. Situated near the airport, this hotel is within 1 mi (2 km) of Minnesota Valley National Wildlife Refuge and Mall of America. Nickelodeon Universe is 1.3 mi (2.1 km) away. American Boulevard Station is only a 3-minute walk and Bloomington Central Station is 6 minutes. 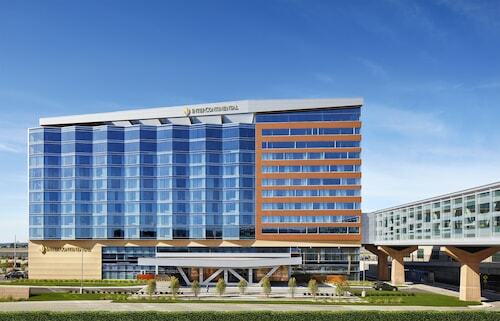 Hyatt Place Minneapolis Airport-South is a 10-minute drive from Minneapolis-St. Paul International Airport (MSP). It's a 5-minute ride on the free shuttle to Mall of America and SEA LIFE® Minnesota Aquarium. American Boulevard - 34th Avenue Station is 2 blocks from the hotel. Situated near the airport, this luxury hotel is within a 10-minute walk of Sea Life Minnesota Aquarium and Mall of America. Mall of America Station is 6 minutes by foot and 28th Avenue Station is 14 minutes. 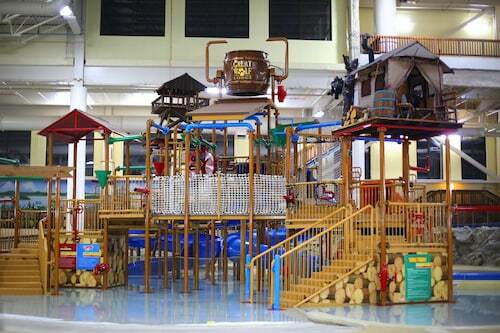 Situated in Bloomington, this hotel is within a 15-minute walk of Nickelodeon Universe and Mall of America. Sea Life Minnesota Aquarium and Crayola Experience are also within 15 minutes. Mall of America Station is 12 minutes by foot and 28th Avenue Station is 18 minutes. The Mall of America and Sea Life Aquarium are within a half-mile, while MSP International Airport is 5 miles away. Downtown Minneapolis and Saint Paul are just 9 miles away. 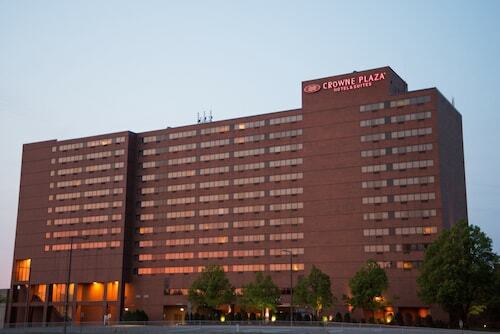 This suburban Minneapolis hotel is 1 mile from Minneapolis-St. Paul Airport and Mall of America, and located across the street from the American Blvd 34th Ave Metro Station, providing access to downtown. Question : How long does it take to fly from Buffalo to Minneapolis? Answer : If you're able to take the direct flight (which is offered by Delta Air Lines), you will be able to leave BUF at 6:40 AM EDT and get to MSP at 7:58 AM CDT (two hours and 18 minutes). Remember, there is a time change of one hour. Question : How long do most people stay on their visit to Minneapolis on average? Answer : Of course, you're not most people, but if you were, you'd stay roughly about one week. Question : What is the cheapest airline flying from Buffalo to Minneapolis? Answer : American Airlines strives to keep prices low for their passengers over the next three months. Bookings are being made at just $217, which is a bargain when compared to the more expensive bookings of $1,139. Question : How long is the flight from BUF to MSP? Answer : This direct flight will whisk you away to your destination in two hours and 18 minutes via Delta Air Lines. If you catch the 6:40 AM EDT departure, you'll arrive at 7:58 AM CDT. Allowing you plenty of time to freshen up before your next appointment (remember, there is a one hour time change). Answer : The cheapest day to fly from Buffalo to Minneapolis is on Saturday. If you would like to save a little money on your next trip look for flights on Saturday. Question : Which airline has the least delays from Buffalo to Minneapolis? Answer : Booking with Mesa Airlines means you will arrive to Minneapolis around the time you were supposed to. In fact, this airline has a 100% average for getting there on time. Question : How much is a plane ticket to Minneapolis (MSP) from Buffalo (BUF)? Answer : They can vary from $217 to $1,139. Booking in advance can usually help you get the cheapest ticket. The further out you book your ticket, the more likely you are to save. Flight attendant helped hold my baby while I collapsed the stroller. Very friendly and helpful. Also seated me in a seat without adjacent passengers, as I was travelling alone with an infant.